John H. Paulmann, age 88 of Arlington, died Sunday, April 7, 2019 at the Golden Hearts Assisted Living Center in Arlington. Memorial service will be held at 1:00 p.m. on Saturday, April 13 at St. Paul’s Ev. Lutheran Church in Arlington, with a visitation starting at 11:00 a.m. Interment will be at a later date in Brown Cemetery, Henderson. John was born on June 13, 1930 to John and Katherine (Trocke) Paulmann in Glencoe, MN. He was baptized and confirmed at Zion Lutheran Church in New Auburn Township. He married Eleanor Lampe on August 30, 1952 at St. Paul’s Lutheran Church in Arlington. He lived and farmed on the family farm from 1931-2008. He worked as a Field Representative for Bongards Creamery from 1985-2003. 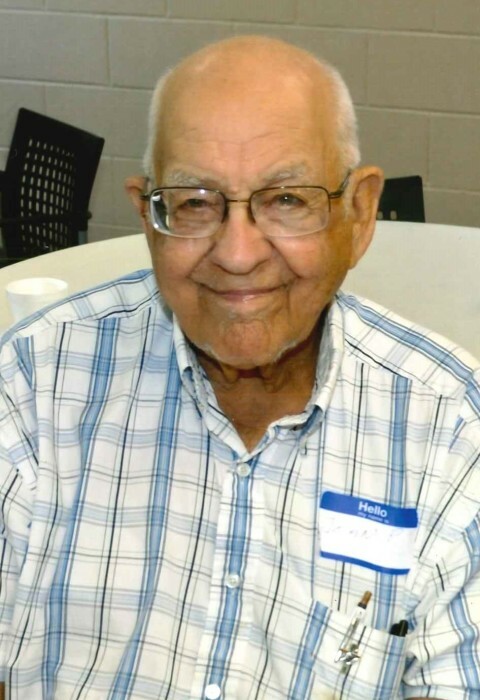 Throughout his life he had served on various committees and boards within his church, the New Auburn Twp., FSA, High Island Watershed, Sibley Co. Soil and Water District, Sibley Co. Fair board, MN Federation of Co. Farms, and MN State Fair Board of Managers. John is survived by his daughters, Kristine (Peter) Glaeser of Long Beach, CA, and Lisa ( special friend, Brian Steffer) Holberg of Arlington; grandchildren, Emily and Abigail Holberg; great-grandchildren, Avery Holberg, William and Luci Eng; sisters-in-law and brother-in-law, Janice and Ronald Renneke, Charlene Thoemke; many nieces and nephews; and companion, Eunice Mackenthun. He is preceded in death by his parents; parents-in-law, Reinhold and Emma Lampe; wife, Eleanor; siblings and in-laws, Irene (Lawrence) Krecklau, Gladys (Dale) Flantz, Leona (Kenneth) Skaro, Sarah and husbands, Melvin Uecker & Harry Swenson , Karen (Arlyn) Boll, and Charlotte Lampe.